A Diamond in the Rough? Jobu ponders if Scott Sizemore could be that special player that everyone else has overlooked. If you’ve ever seen the movie Aladdin, you know all about diamonds in the rough. Jafar is trying to get the magic lamp from the Cave of Wonders, and he is instructed by the magical tiger head sand cave monster to find the “diamond in the rough” because he’s the only one that will be allowed in to get the lamp. If you make Jafar a major league baseball GM, the giant tiger head cave monster “the playoffs” and the lamp the World Series trophy, you have yourself a scenario. Every GM hopes that every year, they’ll find that one guy that everyone else has overlooked, and that guy helps the team get a championship. Could Scott Sizemore be that guy for the 2014 Yankees? Just in case some of you don’t know who Scott Sizemore is, let’s do the usual quick intro that we do for all of the players we cover here on The Rum. Sizemore was the fifth round pick of the Detroit Tigers in 2006 out of Virginia Commonwealth University, and worked his way up through their system in just a few short years. He was named the opening day starting 2B for the Tigers in 2010, despite never having played in the major leagues before. He struggled and was sent down after a month, not really coming back to the majors with a significant role until May of 2011. That very same month, the Tigers traded him to the Oakland A’s for a reliever named David Purcey. *The then 26 year old Sizemore got into the lineup quite a bit as a member of the A’s, playing in 93 games the rest of the way and slashing .249/.345/.433 with 11 homers and 52 RBI. He showed that he could handle himself at the dish, walking 43 times in 355 plate appearances, which would be about 80+ walks over the course of a full season. He added 21 doubles and a triple to his 11 homers, showing that pop he had promised as a minor leaguer for Detroit. In all, it was a very successful first full season for him. 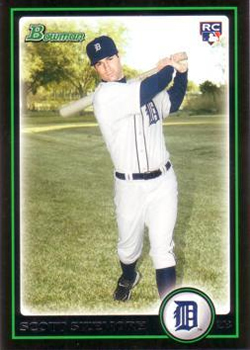 Those 110 games he played that year with the Tigers and A’s would represent the last significant amount of MLB playing time that Sizemore would get. In February of 2012, he tore the ACL in his left knee, which cost him the 2012 season. He fought back to get himself in playing shape for opening day of the 2013 season, but just two games into it, he tore that same ACL again. That would be it for the 2013 season for Scott. 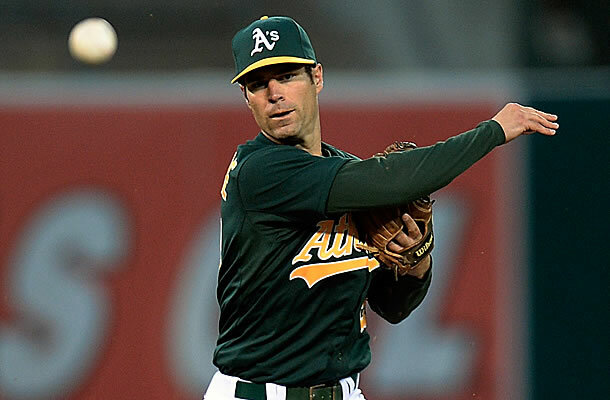 It would also represent the end of his A’s career, as he was granted free agency this past November. The Yankees, needing someone to possibly play third base, picked him up on a minor league deal. According to Joel Sherman, Scott turned down guaranteed major league deals from two other teams to join New Yorka, so at least we know he wants to be in the Bronx come April. If he can somehow stay healthy, and keep that knee together, he’ll be a guy that can handle the bat with a little pop, and play both second and third base, which are two places the Yankees need help in for 2014. At worst, Sizemore will provide some competition for guys like Brian Roberts, Kelly Johnson, Dean Anna and another minor league free agent the Yankees just signed, Yangervis Solarte (a guy with that name will definitely get more coverage down the line, so be patient); and some depth at the minor league level. Needless to say, even without seeing that video, I am a big fan of this signing. It’s a classic no risk, all reward type signing. If Sizemore can stay healthy and put together a year like he had back in 2011, I think the Yankees would be ecstatic. That might not make him a diamond in the rough, but even a cubic zirconia comes in handy on a major league roster.